“I was born in 1966 in New Jersey. I have a sister who is a teacher, a brother who is a brain surgeon, and five nephews and one niece. I studied at The Rhode Island School of Design and after I graduated from college I worked at Eeyore’s Books for Children in New York City. I learned all about children’s books from my boss Steve Geck who is now an editor of children’s books at Greenwillow. While I was at Eeyore’s I also painted the windows for holidays and book events. “My first book, The Houdini Box, which I both wrote and illustrated, was published in 1991 while I was still working at the bookstore. Since then, I have illustrated many books for children, including Frindle by Andrew Clements, The Doll People by Ann Martin and Laura Godwin, Amelia and Eleanor Go for a Ride by Pam Muñoz Ryan and The Dinosaurs of Waterhouse Hawkins by Barbara Kerley, which received a 2001 Caldecott Honor. “I have also written a few other books myself, including The Boy of a Thousand Faces, but The Invention of Hugo Cabret, Wonderstruck and The Marvels are by far the longest and most involved books I’ve ever worked on. OUR WHITE HOUSE. 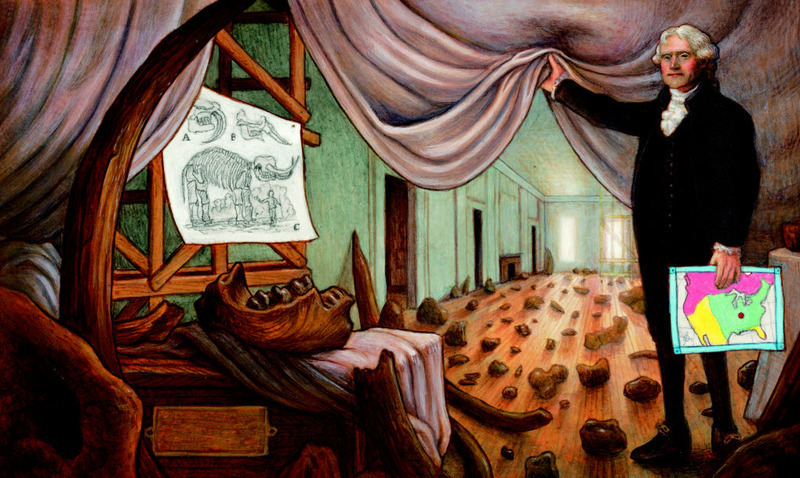 Illustration © 2008 by Brian Selznick. Reproduced by permission of the publisher, Candlewick Press, Somerville, MA. 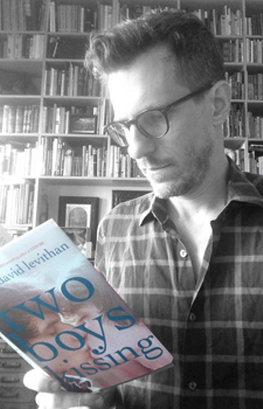 Brian Selznick recommends Two Boys Kissing by David Levithanas (Alfred A. Knopf, 2013) as a Great Read for ages 12 and up. Check out more Great Reads on thencbla.org.